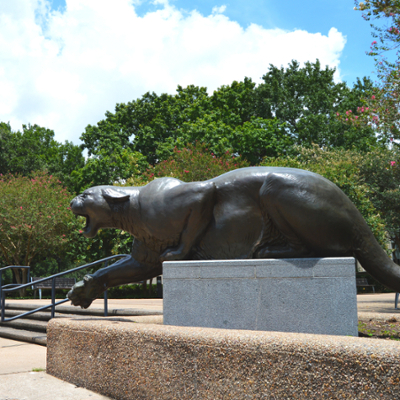 The University of Houston has partnered with Credentials Solutions, Inc. to provide a web-based transcript service. Please note: The University of Houston does not release copies of transcripts received from other institutions. If you need a transcript from a prior institution, you must contact that institution. Additional fees apply for special services such as in-person pick up, express delivery, and apostille notarization. Transcripts will be sent electronically or on paper by mail, depending on the selected destination. Transcripts cannot be released if the student has a transcript hold. Please Note: The Welcome Center does not mail transcripts; all digital, mail, and pick up orders must be placed online or by phone. Delivery methods include electronic delivery (fastest), USPS first class mail, or express delivery. Please begin your order by selecting the applicable portal below. Transcripts may be ordered online for pick up at the Welcome Center for an additional fee of $10 per transcript. If placing a transcript order for pick up, it is essential to select the option "Official Transcript - Pick Up" during the ordering process to ensure proper handling. Once you arrive at the Welcome Center, please check-in for the Office of the University Registrar and proceed to our location. If someone other than the student is designated to pick up the transcript, the exact name must be provided during the order process. The name on the transcript or designee for pick up must match the person and ID provided during pick up. A valid ID will be required in order to receive your order. Don’t remember your student account? There is an additional fee of $15 per transcript for placing orders by phone. Please begin your order by calling Credentials Solutions at the number listed below. Transcripts may be ordered by Phone for pick up at the Welcome Center. There is an additional fee of $25 per transcript ($15 for phone order + $10 for pick up). If placing a transcript order for pick up, it is essential to request to have the order held for pick up during the ordering process to ensure proper handling. Once you arrive at the Welcome Center, please check-in for the Office of the University Registrar and proceed to our location. All transcript order payments, whether placed for delivery or pick up, are processed online through Credentials Solutions. Payment must be made by credit card.